After 12 hours of playing through Armature Studios' Arkham Origins Blackgate and coming across numerous glitches I really wasn't super pissed off until now. I've encountered a glitch that stops story progression and keeps you stuck near the generator room of the Industrial Zone. During the last mission before heading to the final boss, one of the potential missions- if you fight the Penguin after Black Mask and the Joker- you have to save 5 hostages. The last hostage is in the Industrial area right before the generator room. I can't save someone that isn't there! Well, I saved him then wandered into the generator room looking for potential missed hidden items, and on the way back through- right after Batman says that Catwoman will be probably heading for the docks, the already saved hostage timer starts up. (See picture) I can't save a non-existent person, and I can't leave the room because it wants me to save them. This is absolutely infuriating. I now literally cannot proceed. The only way out is to go past the hostage zone, which is now impossible. I'm now hindered from beating the game because there is NO OTHER WAY OUT OF THIS AREA. At 92% completion this leaves me quite bitter towards the game. Other problems I've experienced are enemies becoming unhittable, enemies falling through floors so you can't hurt them, and the damn Industrial Area screen flip to name a few. (see image below) The screen flip is apparently happening with great frequency to many other players in this area. As for the combat problems- they occur for me roughly once every two hours. 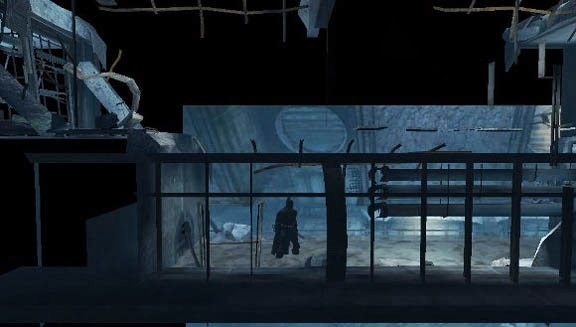 I even found one enemy that consistently respawns when you make a loop in the Cell Blocks area with the foreground and background catwalks area. Seriously, I enjoyed a lot of this game. The story is fairly predictable yet still entertaining. With the exception of all the constant backtracking the maps are great with tons of hidden items and areas to explore, and the combat is decent as well. This could've been an amazing game. I have the same glitch is there a way around it. Can it be fixed? So far, I've put in multiple support tickets and inquiries and the only replies are "we're sorry for the inconvenience." I'm waiting for a 3rd response from WB games to see who I can contact about patch information, as Armature has no support contacts listed- an have Tweeted about "Not being allowed to patch" so far. Any luck getting this fixed? Blurg! I'm having the same glitch. Have you gotten a patch yet or heard any other updates from the publisher? Same thing happened to me. Have you heard any news from the publisher yet? After many inquiries and emails, I have gotten NOTHING for a real response which leaves me thinking there will be NO PATCH. This may not be true, but there has been no information given- Blackgate is essentially being ignored while the main Origins is being fixed. Frankly disgusting really, it would be nice to purchase a game that is actually functional and able to be completed. I am stuck at the same point!!! Ugh! I was hoping someone found a work around. A patch was finally released to fix this!